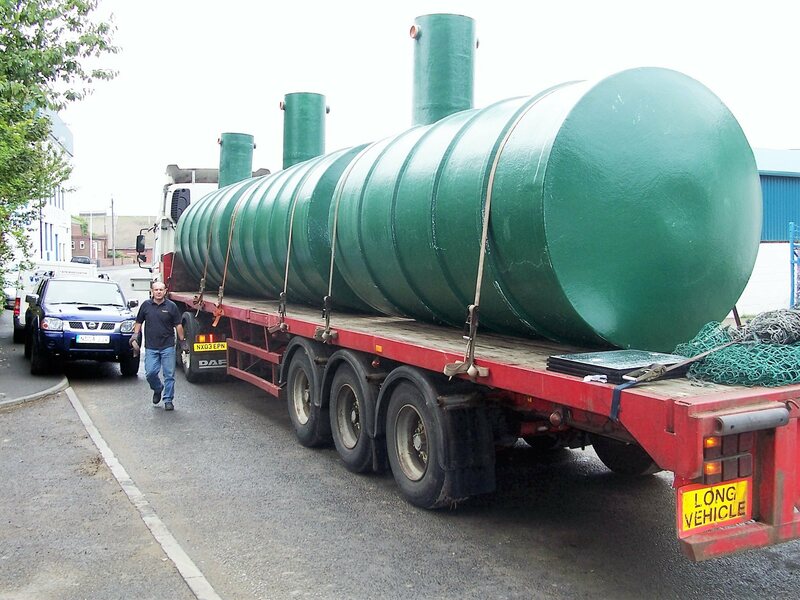 ECS have been successfully supplying waste water holding tanks (cesspools) for many years. Often confused with Septic tanks, Cesspools (aka Cesspits) are basically a holding (storage) tank with no outlet pipe & are utilised in situations where poor ground conditions prevail, or where the watercourse is close by, hence ruling out the use of a septic tank or treatment plant. ECS cesspools are available in a multitude of sizes from 1,000 litres up to and including 240,000 litres as a single tank. For domestic applications, Building Regulations stipulate a minimum of 18,000 litres storage be available within the tank. ECS can also supply multiple tank configurations which can be interconnected on site to suit the applications requirements. We can also supply multiple access manways upon request, as well as high level alarms and a range of lockable covers, ranging from pedestrian duty to D400 loading. Popular with construction sites for initial welfare set up, we can supply units to suit either a concrete or granular surround, subject to ground conditions. Please note however, Cesspools are not permitted in Scotland.